The FBI Agents Association President Reynaldo Tariche issued a statement about former FBI Director Louis Freeh, who was seriously injured in a one-vehicle crash Monday in Vermont. 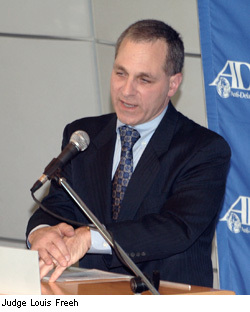 CNN reported that the Vermont State Police said that Freeh was driving a GMC Yukon when it went off the road, struck a mailbox and ran over some bushes. Posted: 8/26/14 at 12:18 PM under News Story.